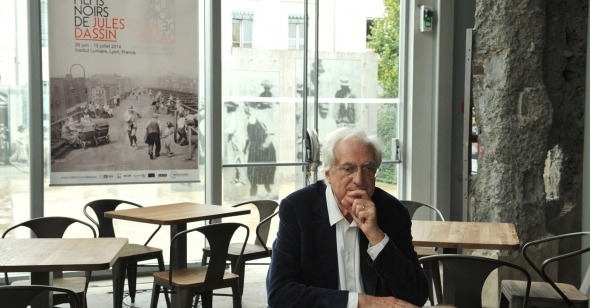 Now 75 years old, Bertrand Tavernier was a bit too young at the watershed movie moment of 1959-60 to be lashed together with the disparate talents who, in maybe the most successful instance of branding in film history, were billed as a New Wave. Tavernier is something of an outside man, then, disinterested in perpetuating certain us-vs.-them binaries erected in those contentious days of yore, and the collection of figures to whom he pays varying types of tribute to in the three-hours-plus of My Journey Through French Cinema is appropriately idiosyncratic, made up of those he encountered as a young, budding cinephile, as well as others he met when he was starting out in the industry as Jean-Pierre Melville’s assistant and as a press agent for producer Georges de Beauregard. There are passages devoted to Jean Renoir, a darling of the Cahiers crew; and to Marcel Carné, the very embodiment of the pilloried cinéma de papa; as well as to American expat John Berry and Claude Sautet, an approximate contemporary of the New Wavers who was never part of the club. In one crucial respect, however, Tavernier—very much his own man when it comes to his tastes—is completely of a piece with his approximate generational coevals in French cinephilia, for whom the experience of movie love is inextricable from the formative experience or understanding of World War II, and the lingering memory (first- or secondhand) of the Popular Front, Occupation, Collaboration, Resistance, and Liberation. Recounting his biography—a childhood bout with strabismus very possibly caused by malnutrition due to wartime shortages that left him with a wonky right eye, the ciné-club archival research, and the names of dozens of home-away-from-home theaters, most long gone—provides Tavernier with the jumping-off points from which to launch into discussions of a variety of figures. The recollection of an early, formative memory of a cinematic image opens into a discourse on the director whom Tavernier would later discover to have been responsible for that very image: Jacques Becker. The story behind the discovery of a disused print of a forgotten film rolls quite naturally into a discussion of that film’s author, Edmond T. Gréville, an Anglo-French independent operator on whom Tavernier and others would spearhead a critical rediscovery on the strength of titles like Remous (1934) and Noose (1948). But throughout this engaging ramble, planned in great detail in order to sustain the appearance of extemporaneous spontaneity, the topic of the War just keeps coming up, be it in the distinguished anti-Nazi records of the likes of former Free French fighters Melville and Jean Gabin, or the worrisome drift toward collaboration evident in certain correspondences by Renoir, who eventually decamped for America. These biographical notes aren’t inserted to vindicate or condemn, but to serve as aspects of well-rounded critical portraits of each man. (And it should be noted that Tavernier’s episodes of extended analysis are, without exception, devoted to men, though he has announced intention to shift focus in another forthcoming episode.) He exalts Renoir as an artist, while debunking some of the accumulated, often self-perpetuated myths about his practice, including his claims to having improvised at the last minute a famous sequence shot in The Crime of Monsieur Lange (1936). Tavernier’s insights into Melville’s process are still more keen, having spent a great deal of time at Melville’s Studio Jenner atelier, whose front door and back staircase he identifies as they recur in different guises in several of Melville’s films. Tavernier approaches his subject not only as a film lover but also as a film director who knows his way around a set, a man with an inexhaustible appetite for dish about behind-the-scenes goings on and an insatiable curiosity for what makes movies tick, how certain effects are achieved and how things are actually pulled off. (Too young for the New Wave, he is old enough to have met practically everyone, for the lifespan of cinema is only that of two men.) This, again, is a vital and very frequently ignored part of the duty of the film cultural commentariat, usually elided for less knowledge-intensive and demanding approaches like amateur sociology, adjectival avalanches, or How Did This Movie Make Me Feel? (Which, really . . . who cares?) There is a great deal of talk about lens lengths and the intricacies of Maurice Jaubert’s scores and the arduous process through which Carné and production designer Alexandre Trauner secured permission to put Gabin on his lonesome top floor aerie in Le jour se lève (1939) and the precise methodology through which Melville calibrated his shot-reverse shot dialogues, and absolutely no pseudo-mystical babble about “the magic of the movies” or any similar gee-whiz tommyrot. I could have gone on ingesting this sort of stuff for at least twice as long as the movie runs, and there’s every indication that Tavernier could’ve continued to hold court for at least that long—and proposes to in future episodes—but this one doesn’t end so much as run off, like handwriting bunched at the bottom of a filled-up sheet of paper. It’s a minor cosmetic blot on a magisterial piece of cinema criticism: three hours out of the day, though offering months of viewing fodder.